Snapchat is no longer limited to being just a photo sharing app. It has now evolved into a marketing tool that you should ignore only at your own peril. Self-destructive photos and videos are not only limited to tech-savvy teens now but they can now be used by marketers who need a creative way to sell their products and services as well. If you have been wondering how you can use Snapchat to reach out to your audience, here are some ideas. You can use Snapchat to introduce new products and services to your customers. The self-destructing nature of the videos and photos means that your customers do not have to deal with the clutter associated with normal marketing messages. The best way to make someone excited about an idea is to show some things and hide the others. The temporary nature of Snapchat messages means that they are perfect for teasers, in which you only give your customers a taste of what you have to offer. You can leverage the temporary nature of Snapchat videos to offer your customers real-time support and answering their queries. For example, if a customer complains that they donot understand how to use your product, a quick video will clarify matters for them. Not only it would be easy to understand but it would also not take much time of the customer. 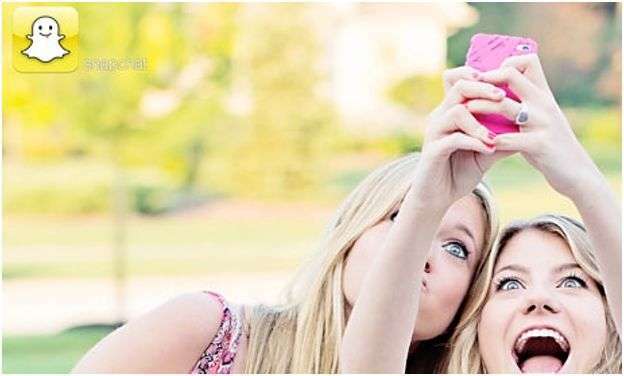 Keep it fun and keep it memorable with Snapchat. Show them the effort that you are putting in while preparing their product for them, and show them how fun is your experience to share behind the scenes with the audience. Promotions are, by their very nature, short-term and Snapchat is the best way to let them know about them. There is no better way to promote your products than to use Snapchat. Tell your customers about the exclusive sales with the help of Snapchat. You could even go so far as to arrange exclusive invitation-only insider events for them. What better way to engage your customers than to organize contests for them? Get your customers in on the fun by providing them with incentives to send you a Snap back. Use Snapchat to show your customers some secrets of how you do things. For example, if you are in the food business, show your customers how you make a certain item on your menu. This would not only show them how things are made but also motivate them to buy your products. Is your business arranging or sponsoring an event? Let your customers know by sharing updates with them. The best source of ways to use Snapchat for business is of course businesses which are already using the platform successfully to sell their products and services. Marketers are coming up with increasingly creative ways to use Snapchat to engage with their customers, thereby generating buzz for their products and services. Look up these companies over the Internet, find out what they are doing and use this as a basis for your own marketing strategies. Most importantly, be creative. Use existing campaigns for inspiration but take care not to copy. Copying will make you come across as uninspired and unoriginal and that is the last thing that you want. See also: Does Snapchat Have a Marketing Future?